2014 LEGO® Kidsfest Tour Dates Have Been Announced! Coming to a city near you – The LEGO® KidsFest, a nationally-traveling giant LEGO expo! This interactive LEGO extravaganza brings all of the creative hands-on, minds-on fun of LEGO building and experiences together in an activity- and entertainment-packed family event for children of all ages and builders of all skills and interests. 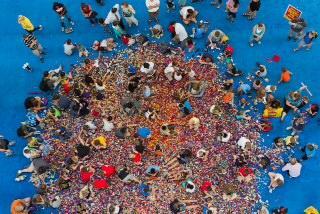 Since the tours began in 2009, nearly 420,000 have attended a LEGO Kids Fest. If you think you’d like to attend – don’t wait to get your tickets! Based on sell-out attendance in previous markets, advance ticket purchase is strongly encouraged. Tickets for all 2014 tour stops are on sale at www.LEGOkidsfest.com. There are five sessions – all identical. And all are 4 1/2 hours each for the each tour stop. For full details, visit the website at www.LEGOKidsFest.com.